The extraordinary cultural, political, and economic effects of coffee over the past few centuries have established it as one of the most influential products in human society. Due to a number of factors including climate change, the coffee industry as it stands is increasingly at risk to the formidable Hypothenemus hampei, also known as the coffee borer beetle (Barrera 2008). The coffee borer beetle, an insect belonging to the order Coleoptera, originated from central Africa, and is now present in nearly every coffee producing country worldwide (CTAHR 2011). In fact, the coffee borer beetle is currently the most detrimental pest to the coffee industry, with greater than 500 million USD of damage caused to coffee crops worldwide each year (Ceja-Navarro et al. 2015). Nearly 20 million families globally depend on the coffee industry to survive, and considering there is relatively limited peer-reviewed research published each year about the coffee borer beetle, this is particularly concerning (Vega et al. 2009). The recent coffee borer beetle invasion of Hawaii is a paradigm for the significant societal implications this insect causes. An integrated and comprehensive pest management strategy is desperately needed in Hawaii, and indeed other areas around the world, to combat this prevalent insect threat. The coffee borer beetle is a rather remarkable creature for a number of reasons, and it is important to outline these features prior to addressing its impact on Hawaii and potential solutions to this problem. Interestingly, the coffee borer beetle is the only insect or metazoan currently known that has the ability to live exclusively off of coffee beans for every aspect of its life cycle (Ceja-Navarro et al. 2015). While caffeine is typically a potent deterrent for insects through its bitter taste and intoxicating or paralysing potential, the coffee borer beetle is able to overcome these effects by utilizing its unique symbiotic gut microbiota (Ceja-Navarro et al. 2015). The beetle’s life cycle begins when it bores into the bean inside of mature or immature coffee berries where it subsequently constructs galleries and deposits eggs (Vega et al. 2009). Following this, the developing beetle larvae emerge, feed off of the coffee bean, and proceed through pupation to finally reach adulthood where they can reproduce in the coffee berries (Vega et al. 2009). Several generations of the beetle may develop within a single berry (Sim et al. 2016). The fact that the coffee borer beetle spends nearly its entire life cycle within the coffee berry and damages it directly, makes it both particularly difficult to control as well as devastating to the coffee crop itself (Barrera 2008). This inflicted damage can be categorized into three types: early fall of immature berries, increased risk to pathogenic infection, and decreased quantity and quality of mature berries (CTAHR 2011). It is clear that the potential implications of a coffee borer beetle infestation are significant to the coffee industry as a whole. The Hawaiian coffee industry previously thrived due to a distinct lack of natural coffee parasites or pests (Chapman et al. 2015). Coffee is one the most economically significant crops grown in Hawaii, with around 50 million USD of farm revenue each year (Aristizábal et al. 2016). In fact, the Hawaiian coffee industry consists of roughly 800 separate coffee farms including both small family-run as well as large scale commercial operations (Woodill et al. 2014). In 2010, the coffee borer beetle was first discovered in the Hawaiian region of Kona, and has since spread to nearly all coffee farms there as well as a number of other islands including Oahu and Maui (Follett et al. 2016). It has been speculated that the beetles were introduced from Latin America by farm workers, travelers, or through illegal coffee bean importation (Chapman et al. 2015). Currently, more than 20% of all Hawaiian coffee is infested by the coffee borer beetle, and without specific management strategies in place, this industry is in jeopardy (Aristizábal et al. 2016). Additionally, the infestation has caused nearly all Hawaiian coffee produced to be rated at low quality grades, whereas normally most of the coffee produced is considered to be premium quality (Aristizábal et al. 2016). Therefore, the continuing coffee borer beetle infestation needs to be dealt with both quickly and effectively. While it is evident that a management and intervention strategy for the coffee borer beetle infestation in Hawaii is necessary, it is also important to outline some of the challenges that influence effective control of the pest. Firstly, considering the extensive diversity of wildlife in Hawaii and the potential for non-target species to be affected, it is likely that parasitoids or toxins such as endosulfans and insecticides are not viable solutions (Messing 2012). Secondly, the coffee borer beetle is exceptionally resilient as it spends almost all of its time within the coffee berry or bean (Messing 2012). Thirdly, the number of beetles captured using trapping methods are often insignificant relative to the total population, and thus are likely not useful without using other methods as well (Messing 2012). Finally, many issues persist with the current management strategies such as a lack of coordination among farms, presence of wild coffee acting as beetle reservoirs, and relatively high Hawaiian labour costs (Messing 2012). The culmination of all the preceding factors make the coffee borer beetle a serious challenge. There are numerous potential pest control strategies that may be effective for the Hawaiian coffee borer beetle infestation. Biological control agents are one possibility since Hawaii is home to multiple native predatory beetle species such as Cathartus quadricollis that target the coffee borer beetle (Follett et al. 2016). Additionally, the fungus Beauveria bassiana has been found to be relatively effective against coffee borer beetle populations, and generally does not affect non-target species (Aristizábal et al. 2016). Recently, various ant species have also been shown to help control coffee berry borer infestations (Gonthier et al. 2013). Regarding non-biological control agents, there are a number of possibilities such as repellants, antibiotics, and other forms of trapping (Vega et al. 2015). Insect trapping with Brocap traps using a Hercon Vaportape™ killing agent are shown to be fairly potent for coffee borer beetle control, if used with other methods (Messing 2012). 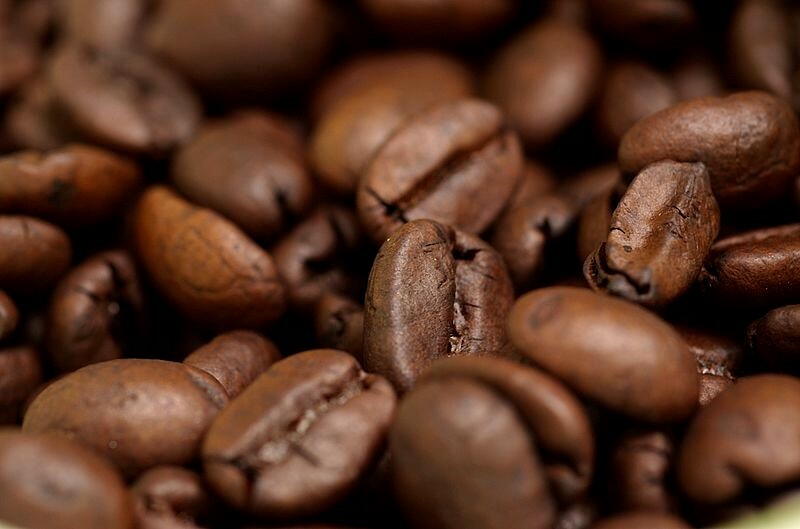 In addition, freezing coffee beans has also been shown to be an economical, environmentally friendly, and effective method to help control these infestations (Hollingsworth et al. 2014). Furthermore, field sanitation techniques such as the removal of old berries from the tree or ground, and frequent harvesting may also assist in pest control (Kawabata et al. 2016). Overall, there are a multitude of potential pest control strategies that could be used for the coffee borer beetle infestation. The coffee borer beetle is an exceptionally formidable insect that has had substantial implications on human society. Its recent invasion of Hawaii is particularly concerning due to the potency of the coffee borer beetle, significance of the Hawaiian coffee industry, and challenges facing an effective management response. Presently, an adequate strategy does not exist in Hawaii to deal with this pervasive threat. Ultimately, an integrated pest management approach would be vital for dealing with the coffee borer beetle (Kawabata et al. 2016). Such an approach would incorporate biological agents such as native predatory beetles and fungi, non-biological agents such as freezing and Brocap traps, field sanitation techniques, as well as a thoroughly coordinated management effort among all Hawaiian coffee farms. This would ensure that the coffee borer beetle threat is dealt in a pragmatic and timely manner, thus minimizing the devastating societal consequences of this insect. Aristizábal LF, Bustillo AE, Arthurs SP. 2016. 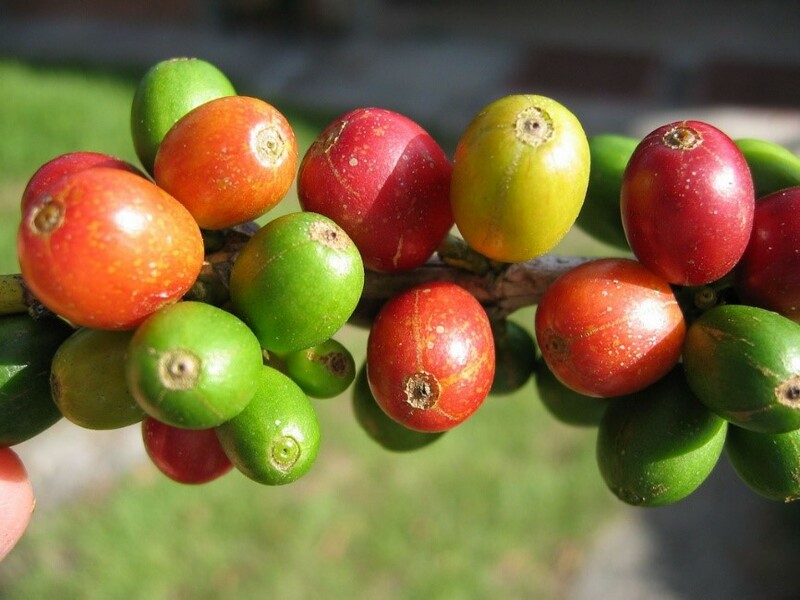 Integrated pest management of coffee berry borer: strategies from Latin America that could be useful for coffee farmers in Hawaii. Insec. 7(1): 6. Barrera JF. 2008. Coffee pests and their management. In: Capinera JL, editor. Encyclopedia of Entomology. The Netherlands: Springer Dordrecht. 961-974 p.
Ceja-Navarro JA, Vega FE, Karaoz U, Hao Z, Jenkins S, Chien Lim H, Kosina P, Infante F, Northen TR, Brodie EL. 2015. Gut microbiota mediate caffeine detoxification in the primary insect pest of coffee. Nat Comm. 6: 7618. Chapman EG, Messing RH, Harwood JD. 2015. Determining the origin of the coffee berry borer invasion of Hawaii. Ann Entomol Soc Am. 108(4): 585-592. Follett PA, Kawabata A, Nelson R, Asmus G, Burt J, Goschke K, Ewing C, Gaertner J, Brill E, Geib S. 2016. 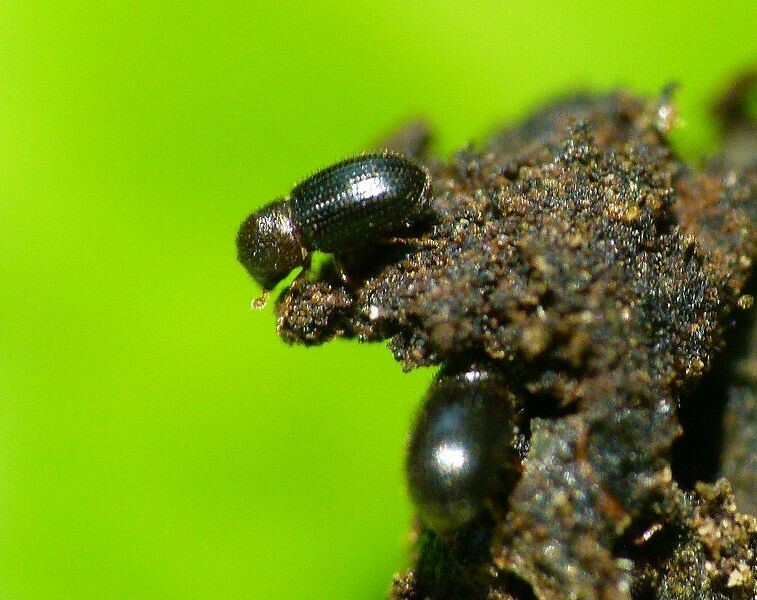 Predation by flat bark beetles (Coleoptera: Silvanidae and Laemophloeidae) on coffee berry borer (Coleoptera: Curculionidae) in Hawaii coffee. Biol Control. 101: 152-158. Gonthier DJ, Ennis KK, Philpott SM, Vandermeer J, Perfecto I. 2013. Ants defend coffee form berry borer colonization. Biocont. 58: 815-820. Hollingsworth RG, Jang EB, Follett PA. 2014. Freezing as a treatment to prevent the spread of Hypothenemus hampei (Coleoptera: Curculionidae), in coffee. Commod Treat Quar Entmol. 106(2): 653-660. Kawabata A, Follett P, Wright M, Brill E, Curtiss RT. 2016. An introduction to the square-necked grain beetle as a predator of coffee berry. Insec Pest. IP-40: 1-4. Messing RH. 2012. The coffee berry borer (Hypothenemus hampei) invades Hawaii: preliminary investigations on trap response and alternate hosts. Insec 3(3): 640-652. Sim SB, Yoneishi NM, Brill E, Geib SM, Follett P. 2016. Molecular markers detect cryptic predation on coffee berry borer (Coleoptera: Curculionidae) by Silvanid and Laemophloeid flat bark beetles (Coleoptera: Silvanidae, Laemophloeidae) in coffee beans. J Econ Entomo. 109(1): 100-105. Vega FE, Infante F, Castillo A, Jaramillo J. 2009. The coffee berry borer, Hypothenemus hampei (Ferrari) (Coleoptera: Curculionidae): a short review, with recent findings and future research directions. Terr Arthro Rev. 2: 129-147. Vega FE, Infante F, Johnson AJ. 2015. The Genus Hypothenemus, with Emphasis on H. hampei, the Coffee Berry Borer. In: Vega FE, Hofstetter RW, editors. Bark Beetles: Biology and Ecology of Native and Invasive Species. 1st ed. Cambridge: Academic Press. 427-494 p.
Woodill AJ, Hemachandra D, Nakamoto ST, Leung P. 2014. 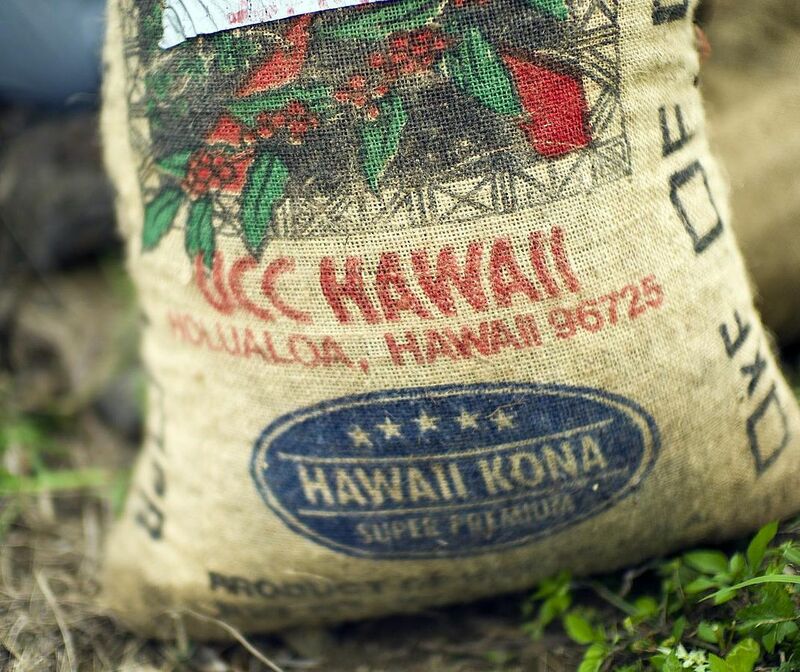 The economics of coffee production in Hawai’i. Econ Iss. EI-25: 1-9. This work by Shayne Hopwood is licensed under a Creative Commons CC-BY-NC Attribution-NonCommercial 4.0 International License.